If you are interested in joining us, please go to this national website and become a member. Then come back and join our chapter! We would love to have you, join today! 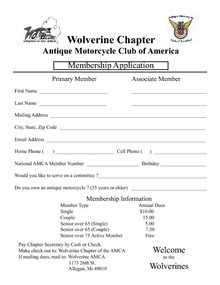 Download "Wolverine Member App 2015.pdf"